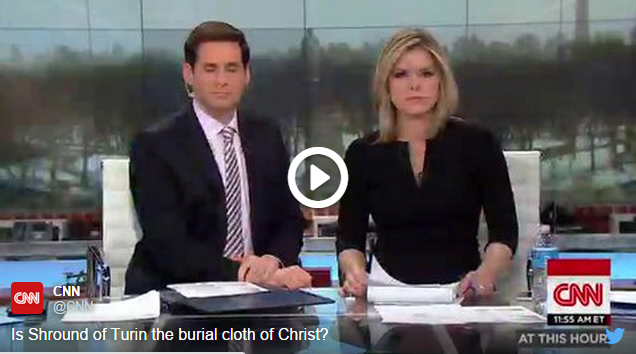 With the forthcoming CNN series “Finding Jesus: Faith, Fact, Forgery” set to premiere on March 1, the network brought a pastor involved with the production on-air and asked whether he believes the Shroud of Turin — a relic that many believe was Jesus’ burial cloth — is authentic. That preacher, Erwin Raphael McManus of Mosaic Church in Las Angeles, California, offered a candid response before offering some additional views on the intrigue surrounding Christ. Despite his view that the shroud likely wasn’t used during Jesus’ burial, McManus said that the relic’s authenticity or lack thereof has little impact on the continued quest to understand Christ — an investigation that has continued among believers and skeptics, alike, through the ages. Pastor Erwin McManus understands the situation. I have always said that even if the Shroud is proved to be authentic and does indeed in some form or the other demonstrate Jesus’ Resurrection many more questions will still be left awaiting responses. Naturally……………the CNN show, Finding Jesus, revealed absolutely, positively and most assuredly nothing new. I’ve had the answer to the Shroud for years.